Real Image Recruitment Drive 2015 For Freshers from 28th to 30th January. Openings For Freshers In Chennai. Chrenni Freshers Jobs 2015. Graduate Freshers Openings in January 2015 at Chennai. Walk-In at Chennai In January 2015. Should have completed Certification in Hardware and Networking. Candidate will be supporting a server that plays movies in digital format in Theaters for international clients. Candidates should be flexible to work 24/7. 70% of the job responsibility would be International Tech support through remote access and 30% would be field support. Real Image Media Technologies Pvt Ltd.
Real Image Media Technologies is India’s leading provider of technology in the film, video and audio domains and has pioneered several technology revolutions over the last 25 years. Established in 1986, the company was instrumental in bringing computer-based digital non-linear editing to India with Avid Technology. Real Image subsequently brought digital cinema sound to India with DTS and helped Indian cinema leapfrog a generation, form mono sound directly to digital. 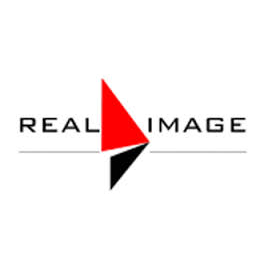 With its Qube Cinema end-to-end digital cinema product line, Real Image has made an impact worldwide. It is the only Indian company – and amongst a handful worldwide – with DCI compliant digital cinema technology.